Do you live in Lota or Cannon Hill? Do you want to Quit Smoking? 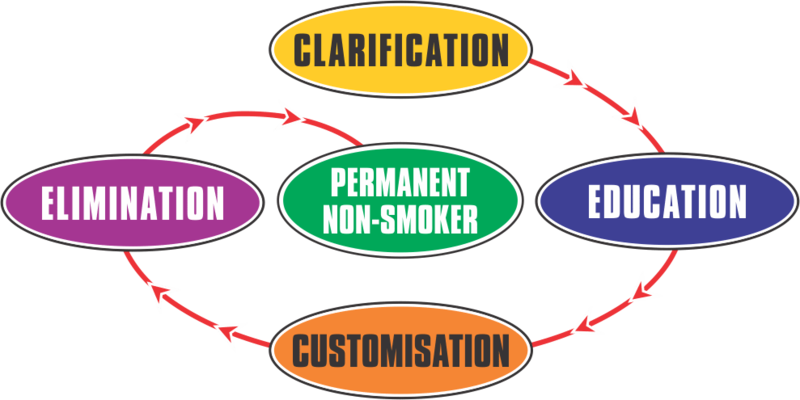 With 4 Simple, comprehensive steps You Can Become a Permanent Non-Smoker! Did You know that within 20 to 30 minutes after your last cigarette, your heart rate reduces and your body begins to repair itself. Most people think that smoking relaxes them and reduces stress. In fact, the opposite is true. Every nerve is ‘stimulated’ by nicotine so it actually elevates your physiology, making your body work even harder. Within 12 hours the oxygen levels in your blood have increased, while carbon monoxide will have dropped back to normal. Within 72 hours. the damaged nerve endings have begun to regrow, as your sense of smell and taste returns. 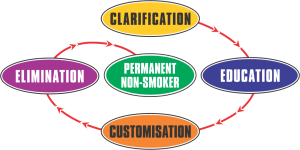 By now your entire body is nicotine free and even the nicotine metabolites will have been excreted from your body. Its easier to breathe as your lung capacity starts to increase. The benefits start to appear as you find it easier to climb stairs and exercise becomes more enjoyable. You body has already adjusted to ‘operating’ with out the nicotine boost. Over the next 2 weeks to 12 months your health begins to rapidly improve. first your risk of heart attack starts to drop. Lung function is better, circulation improving and your chronic cough starts to disappear. You no longer ‘cough your lungs out’ when you get up each morning. Energy levels have increased. You Save Money. If you smoke just one pack of 20 cigarettes a day…. You will save yourself $7000 to $8000 per year. What will you do with your savings? You will have more energy to spend on the things and activities that make your heart sing. You won’t feel like a ‘leper’ having to be isolated or to go outside in the cold to have a smoke. You will be a ‘role model’ you respect for your children to look up to.